Michael Murphey was one of the cornerstones of Austin’s so-called “cosmic cowboy” scene. In 1972, the Dallas native had “Geronimo’s Cadillac” scrape into the Top 40. But his Colorado journey began with the classy, heartfelt ballad “Wildfire”—“the song about the horse”—which shot to #3 in the summer of 1975. Murphey had spent the mid-1960s in Los Angeles, putting in a brief stint with the Lewis & Clark Expedition. He wrote “Wildfire” after the group broke up. “A friend and I took a cross-country trip to New York in a pickup truck with a camper on it. We wanted to see the heartland first and foremost, experience thunderstorms on the Plains. I ran across a legend from Nebraska that I had heard of in my youth, one of the stories my grandfather would tell—that of the ghost horse of the plains, the mustang that could never be captured. “I wrote it down in some notebooks and then forgot about it. Then I was writing songs with a guy named Larry Cansler. I went to sleep on the floor and dreamed this whole scenario of the ‘Wildfire’ story. I woke up at three in the morning and wrote down the whole lyrics on a yellow legal pad. I went upstairs and woke up Larry and we worked on it until the sun came up. In 1971, Murphey moved back to Texas. He played “Wildfire” in concert and people kept requesting it. By late 1974, he was living in Colorado. “I’d just gone through a divorce, and I was also disenchanted with the carpetbaggers from the record companies who were ruining the creativity in Austin, trying to turn it into a record-business town. I just wanted to get away from all that. Murphey recorded his album, Blue Sky, Night Thunder, at Caribou Ranch, the recording complex five minutes outside of Nederland, and “Wildfire” ended up as the first track. He tipped his hand in favor of Hollywood-style Western music, and Jack Murphy’s hovering piano style gave the soft, romantic ballad a dreamlike quality. “We were dealing with Western images and lifestyle, and we were using a big palette of musical colors to do that—from things that sounded country with steel guitars to very jazzy stuff and rock ‘n’ roll sounds and everything in between. It was a time of great jumbling and cross-pollination of styles that I haven’t seen the likes of since. “I was spending a lot of time in South Dakota with a medicine man. I was very caught up in the poetic way of speaking that comes from the Lakota people. In fact, the title Blue Sky, Night Thunder came from a phrase that he used—‘Life is blue sky, night thunder.’ Their spiritual traditions are caught up in their imagery of the universe and American land. 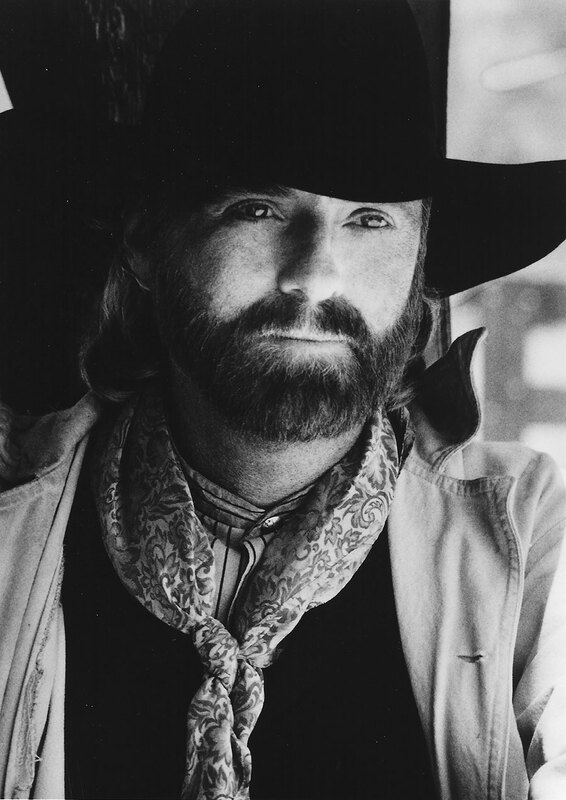 As Michael Martin Murphey, he began directing his music more toward the country audience. He scored his first country No. 1 hit in 1982 with “What’s Forever For” and became a major star. Ever since the release of his best-selling Cowboy Christmas in 1991, Murphey made stops in Denver to celebrate the holidays via his annual Cowboy Christmas Ball tour, a blend of campfire storytelling and reflecting with Western arrangements of carols. In 1987, Murphey founded WestFest, a yearly cultural festival, as a way to preserve memories and images of the Old West.